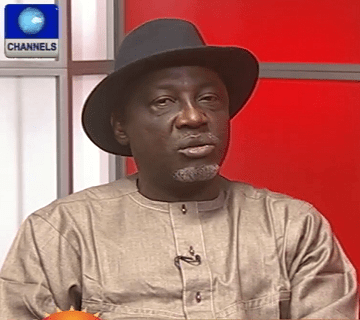 The Minister of Interior, Abba Moro on Monday told Channels Television that President Goodluck Jonathan had ordered all Ministries, Departments and Agencies were to desist from demanding charges for recruitment exercises and are to make provisions for such exercises in their budgets. “If the money is not there, then the exercise is not carried out. That is what it means” Moro said, while appearing on Sunrise Daily. The Ministry of Interior has been in the eye of the storm in 2014, especially for the failed Nigerian Immigration Service recruitment exercise during which a stampede led to the death of dozens. Recently, a “riot” within the Kirikiri prison, in Lagos, which many believed was a jail break attempt and the revelation of illegal practices within the prison, put the minister on the spot. Addressing the prison riot case, Moro said: “When prisons are attacked, the implication is that in confusion there could be a jail break. When there is a riot in the prison, the tendency is that some persons, who have been waiting in the wings, trying to find an opportunity to get out of the prison illegally – will also attempt to run away from the prison. He argued that the issues about jail break or riots were only “a matter of semantics”. Following the recent fracas at the Kirikiri prison and the minister’s visit to the facility, Moro said that “a lot of things are definitely changing. “There is a problem with out prisons system. There’s no doubt about it.” “Prisons built as far back as 1917 are still the prisons that we are using today. “The man who master-minded the present impasse, one Dibia, a convicted armed robber, happened also to be the General Overseer of the Freedom Chapel” Moro disclosed, explaining that Dibia “equated himself to a commander of a sect, so to say, because he ordered a pastor from the town to come and install gadgets (fans and loudspeakers) in the church, without clearance from the authorities”. The minister, who noted that one of the two churches within the precinct of the prison, the Protestant church, already had these gadgets installed and they were functional. “According to the prison officer-in-charge, he noticed some movement and saw a man with some packets of these fans and loudspeakers and then asked why he was in the prison premises. It was at the stage that he requested that the man be accosted and the items seized from him. That led to some misunderstanding. Of course, the General Overseer saw it as an affront on his authority to order that these gadgets be installed in the church,” Moro said. The minister further admitted that the in-mates had been using cell-phones, noting that “it’s not supposed to be so”. He noted that the situation of the Prison system in the country was in a disreputable state when he became minister in 2011 and that caused him to look at the prisons in the United States, London and Brighton prison which is partly privately managed. He disclosed that he had made attempts at ensuring a better categorisation for inmates which did not go down well with those who were benefitting from the former system, including “unscrupulous warders who very easily compromised on some of these situations”. He attributed the fracas to the changes spearheaded by Kayode, the officer-in-charge of the prison, who was being perceived as trying to take away inmate’s freedom. He further promised to protect officers who discharged their duties appropriately. He disclosed that some prisons are being reconstructed, but complained of poor funding, noting that half of the 239 prisons in Nigeria are outdated. Following the death of over a dozen applicants as a result of a stampede at the recruitment exercise conducted by the Nigeria Immigration Service in March, the Federal Government promised the victims’ families compensation and jobs. However, although the government is yet to fulfill its promises, Mr Moro, assured citizens that he was still in touch with some affected families. “They come to my office, we relate. We’ve been talking and explaining to ourselves why we are where we are now. However, the minister disclosed that “as soon as Mr President made that pronouncement, everybody became a victim”, hence, the committee had to sift the various claims and compare them with information from the four centres where cases were recorded. “The report is ready, waiting for submission and consideration” he said, noting that the President’s directive would surely be implemented. Moro called on the affected persons “to exercise more understanding”. Asked why he ignored public outcry calling for his resignation as a result of the incident, Moro said “the point at which we are now is not about resignation. “I chose the option of staying and mopping up the mess that had been created by the lack of effective implementation of this exercise. “I didn’t set out on that journey knowing accidents will occur”, he said, denying allegations that applicants were charged N1,000 so as to sponsor his political ambitions and that his wife owned the agency hired to conduct the examinations. “I thought that we were going to set a benchmark, for the first time, in the Nigerian situation, where somebody can access employment without having to know any minister, strong man in government, god-fathers ,” he added. He also argued that many who criticised the fee demanded for the forms had their reasoning clouded by emotions. He also made reference to the recent outcry against a N4000 charge for Corps members in the National Youth Service to obtain their call-up letters, describing it as a “misunderstood practice”. However, Moro revealed that President Goodluck Jonathan had ordered that no MDA was to demand any charge.